The hilmor Orbital Flare was designed to produce quality flares – again and again. It has an off-center mounted cone that spins on an axis to make sure it uniformly shapes the tube. Plus, it’s equipped with the kind of features you need – a spring-loaded block to firmly grip the tube, a tube-stop arrow for precise height and positioning (goodbye, nickel), and ball detents for easy flaring yoke alignment. It even has a clutch mechanism that stops the flaring when the job is done to eliminate cracking the tube. An off-center mounted cone spins on an axis to effectively produce quality flares. A clutch mechanism stops the flaring when the job is done. Tube Sizes (O.D.) 3/16", 1/4", 5/16", 3/8", 1/2", 5/8", 3/4"
Packaged Dimensions Length: 8.75", Width: 4.25", Height: 5.5"
Product Dimensions Length: 8.5", Width: 4.6", Height: 5.3", Weight: 3.75 lbs. Yellow Jacket 60295 Flaring tool with eccentric cone for 3/16” to 3/5” O.D. 1229 people found this review helpful. Excellent tool!! Easy to use for beginners. Helps with my ease of mind that I can give this to one of my apprentices and know that he does not have to guess if he has the right amount of copper hanging out the end, if he has lined up the tool correctly ( the spring loaded index ball does that ), or if he has tightened the clamps enough. This is an excellent tool with ease of operation. Only time will tell if it holds up as well as the Ritchie. 1745 people found this review helpful. 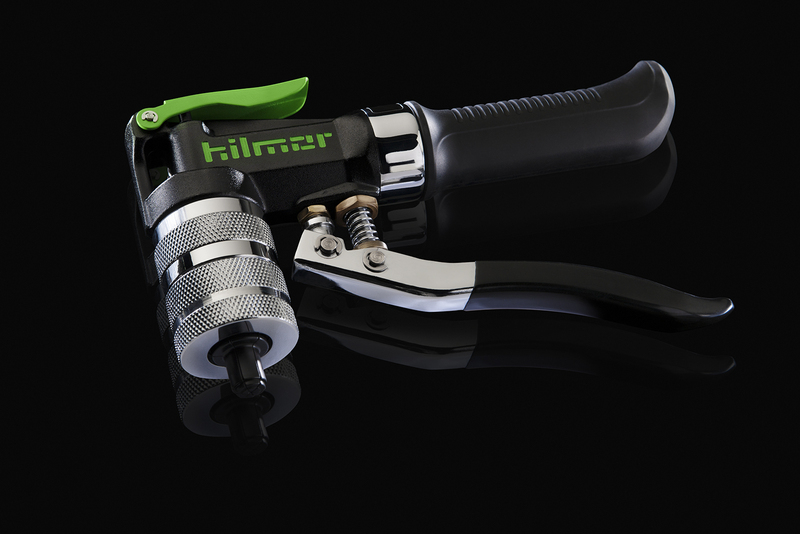 Another fan of hilmor products. I wish I knew there was a combo deal when I bought this product. Unfortunately the supplier only had the Orbital Flare without the Swage combo. I used to have the basic of the basic flare tool, the yolk and the flaring nut? Love how this tool has the stopper when you put the pipe up, with my old tool I had to guess or use a penny beside the pipe to see how far up it has gone before twisting the flare nut down. This tool definitely takes the guessing out and you can never over flare with this product. It has a spring release when you turn the knob so to not over turn on the copper and crack it. Awesome tool! 2684 people found this review helpful. Awesome tool, and easy to use. The stop takes the guess work out making a flare.